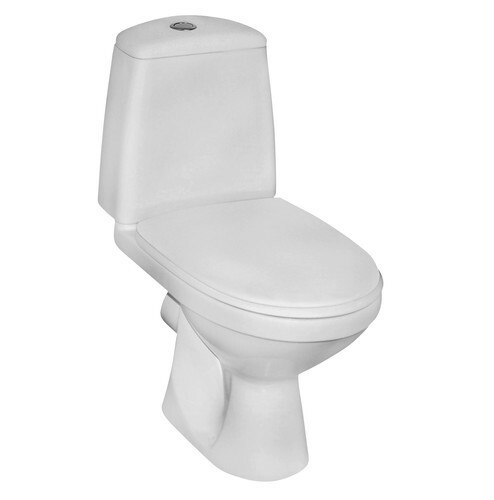 Our company is well known in the industry for our extravagant Benelave Water Closet Two Piece. The accurate dimension of these products make them perfect all installations depending on the customer’s need. We procure these products from popular brands in the industry that are recognized for premium brands. All the products we offer are impact tolerant, sturdy, tough, water & wearing resistant and stable. Incorporated in 1989, Distributor House Pvt. Ltd.has grown into an eminent Supplier, Trader, Wholesaler of a wide range of super fine finished Bathroom Fittings and Accessories, Sanitary Ware, Bathroom Showers, Bathroom and Swimming Pools, Kitchen Sink and Chimney, Flushing System, Stone and Designer Basins, Water Less Urinal, Designer Tiles, Name Plates, Electrical Geysers etc. In addition our company is also a leading Supplier, Trader, Wholesaler of premium products. Procured from leading brands in the industry our products are known for their sturdy construction, smooth finish, attractive design, easy maintenance, elegance, durability, simple installation, high performance, innovative technology and accurate dimensions. We offer these fine products at competitive prices to suit the requirements of our large score of customers. The skilled procurement agents sourcing these products guarantee the best quality products from leading brands. Our team of highly skilled quality controllers test all the procured products on well-defined quality parameters in our efforts to offer the best products to our clients. The team is highly capable in interpreting client requirements and offer them suitable solutions to their needs within their budgetary limitations for maximum satisfaction.